Compared to other big European cities like Paris, Berlin or Barcelona the perceptions of Budapest are often a bit contradictory. Some view the city as a party mecca with an incredible nightlife and affordable at that, while others have this very classical view of Budapest referring to it as the “Pearl of the Danube”. The Pearl of the Danube reflects the legacy of the many great composers, such as Franz Liszt for example. However, the reality of the contemporary city Budapest has a lot more to offer. From its modern artworks and historical architecture to its world-renowned baths and spas. There are really so many reasons to visit this affordable and enchanting city of Budapest. 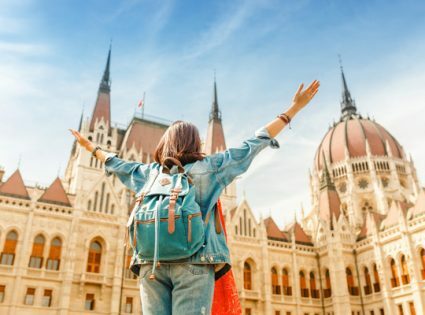 Maybe one of the most convincing arguments that speak in favor of renting in Budapest is how affordable living here is. 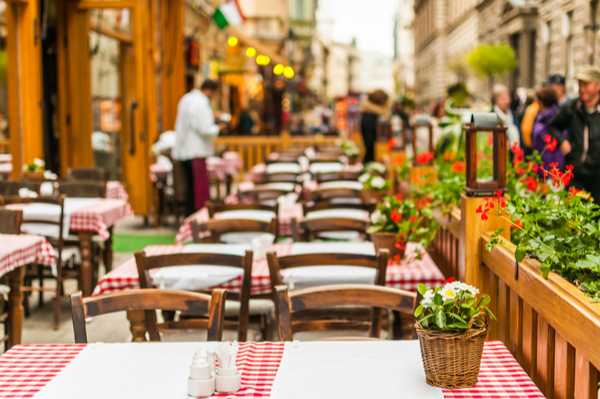 Compared to other big cities eating out in restaurants and sightseeing is cheaper. The entrance fees to most museums won’t cost more than $6. If you fancy a multi-course meal at a high-end restaurant it will run you about $25 USD per person. Many travelers actually visit Hungary for its inexpensive attractions such as cheap dental work and other smaller medical procedures. Although Hungary is part of the European Union it does not actually use the Euro as it’s currency. The currency in Hungary is called Forint (HUF) and the current exchange rate is about $1USD to – 220 HUF. 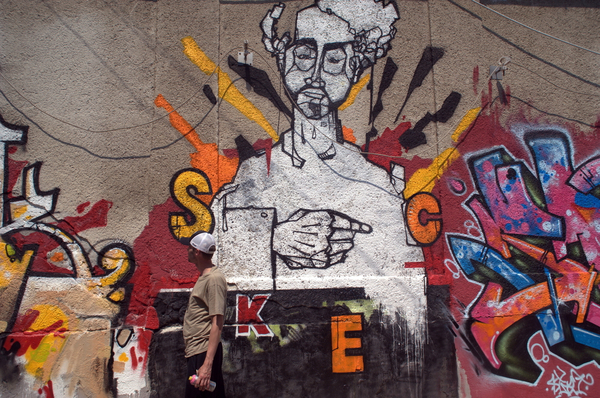 Street art is becoming a more present phenomenon in urban areas and curiously in the case of Budapest, a lot of street art is found in the historical Old Jewish Quarter. It is quite interesting to see this contemporary art next to buildings of such historical value. One of the most present artists in the streets of the Jewish quarter is Kétfarkú Kutya which translated means Two-Tailed Dog. This particular artist is known for the political content of his work. A Giant Sculpture in Budapest. 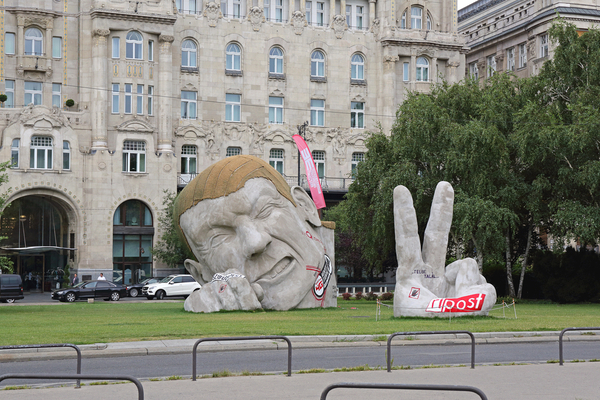 Massive Figure Poked His Head and Fingers a Sculpture Named Repost by Artist Ervin Lorant Herveat in Budapest, Hungary. Last but not least there are many thermal baths and spas in Budapest that need to be pointed out. These days our fast-paced society stresses us out and the demand for places to relax continuously grows. Amongst Budapest, you will find several day spas. The reason being is that underneath the city there is a huge thermal water cave system, in which the water contains several beneficial minerals that revitalize both body and mind. It is typical to see these bath parties both in the day and the night, as locals and tourists alike gather together for entertainment and pampering. Many of the baths have a lot of history and the buildings are incredibly beautiful and need to be seen. 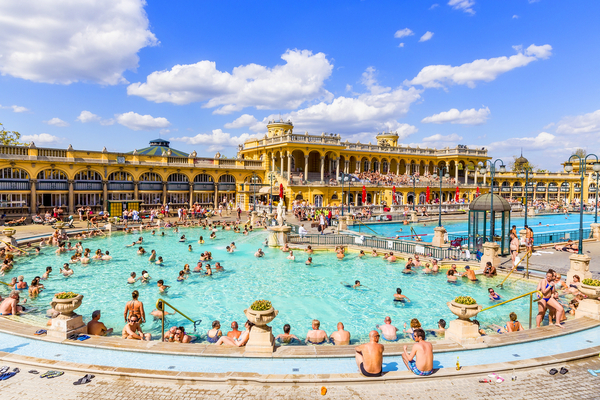 If you’re looking for a romantic excursion, the baths of Budapest are certainly something that you should consider. Szechenyi Baths in Budapest in Hungary on a sunny day. The biggest bath complex in Europe. 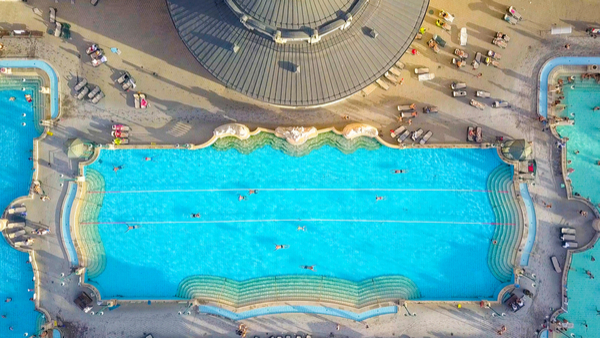 Aerial shot of swimming pool Gellert spa and bath Budapest, Hungary.